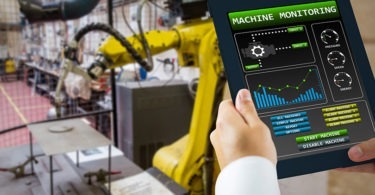 My soon to be published October column discusses the transition of many manufacturers in optimizing their plants with new IIoT technologies but avoiding a rip-and-replace approach. Adding more sensors to legacy equipment or developing new processes or add-ons to provide better data for optimizing equipment. This Fluke technical paper provides a how-to bootstrap your plant with baseline and trending analyses for various pieces of equipment, along with software to start acting on current equipment data. The difficulty lies in bringing vibration, thermal and other sensing data into one dashboard to provide context on a particular machine, such as a motor, pneumatic components or PLCs. For example, failing to isolate the source of an intermittent voltage spike on a PLC input at a critical line, may cause troubleshooting teams to overcompensate by recommending the replacement of the whole device, while only one element was at fault. That will still not solve the underlying problem.